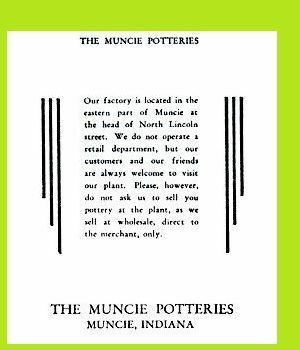 The Muncie Pottery Company did not spring into existence on its own, but rather was the continuation of several companies that preceded it. The Gill Brothers and the Gill Clay Pot Company produced primarily clay crucibles for glass production for decades. In the year 1918 the company created a subsidiary, the Muncie Clay Products co, adding utilitarian pottery to their product line. 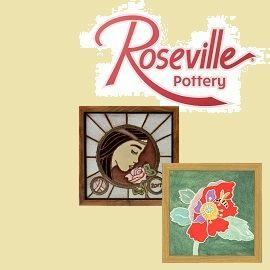 After noting the success of some companies such as Roseville Pottery, in 1920 some experiments were made with art pottery, but none was actually sold until 1923. In 1922, Boris Trifonoff was hired from the American Encaustic Tile Company of Zanesville, and he designed and created many of the art pottery shapes and molds familiar to most collectors. These forms were quintessential arts and crafts styles, popular at the time. 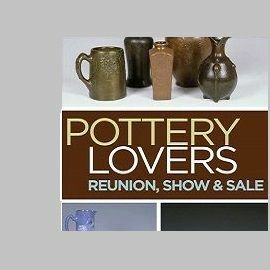 For the most part the same shapes were used with multiple glaze combinations, but there were no known examples of artist decorated pieces popular with other companies such as Roseville or Rookwood. During the 1920's they expanded into lamp bases, and thousands of bases were sold across the country. In 1926 Reuben Haley was influenced by the Paris International Exposition of Decorative and Industrial Arts held the precious year, and began to produce art deco lines. These lines are considered the most desirable by collectors, and include Figural , Spanish, and the highly coveted Ruba Rombic 'cubist' line of 1928. The Figural Line was composed mostly of larger vases, and they clearly were designed to imitate the style of famous glass makers such as Rene' Lalique. They were produced in a variety of colors, portraying animals such as goldfish, lovebirds, and katydids. Few pieces of this line have survived, and many are unmarked. The Spanish line is very popular with collectors with a very organic feel to the design. Often with a thick drip glaze, the forms almost appear to be melting and might feel at home in a Salvadore Dali painting. 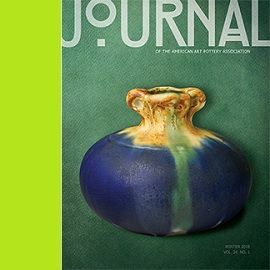 Produced in both matt and gloss glazes, they come in a variety of colors including turquoise, green over maroon, green over violet, green over green, and others. The Rombic line was created for Muncie by Haley at the same time that he created a similar Ruba Rombic line for Consolidated Glass. The cubist designs were the opposite of the Spanish line, with amazing lines and angles juxtaposed throughout. 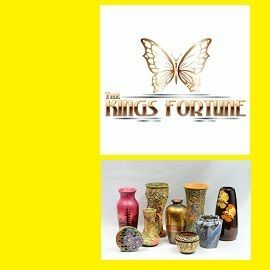 These amazing and often colorful pottery pieces are prized by collectors, with only 25 or so different designs known to have been produced. Many of the Rombic line vases are marked with the Muncie stamp in the base. They continued to experiment with new glazes, creating so-called 'Bright' glazes such as Peachskin which is difficult to find and sought by collectors. The Great Depression nearly bankrupted the company, and in 1931 the company was reorganized as the Muncie Potteries Inc. They produced new pottery designs, mostly smaller pieces and new lamp designs, and sold only as wholesalers. They struggled with decreasing sales until 1939, when the company shut down operations forever. The company was finally liquidated in 1942, when their remaining stock was sold off for $1.00 per basket. The final plant caught fire and burned to the ground in 1968, and what is left has now been abandoned.